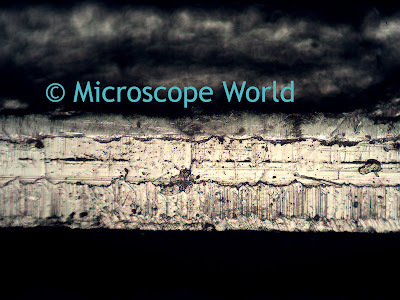 Inverted metallurgical microscopes are great for viewing solid items (such as steel) that don't allow light to pass through them. In addition, the inverted microscopes are best for viewing large pieces of material, that would not typically fit on the stage of an upright metallurgical microscope. 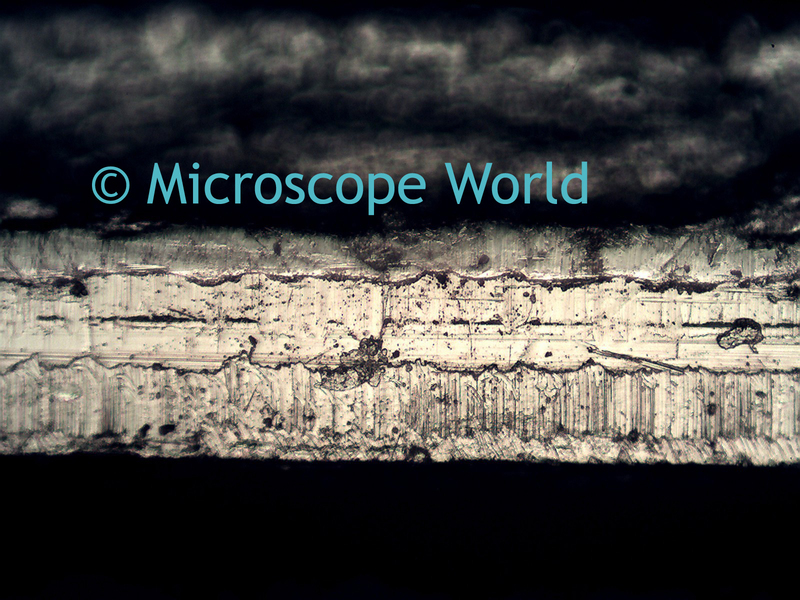 This image of a steel plate was captured using the Meiji IM-7200 inverted metallurgical microscope and the Motic MC2000 microscope camera.